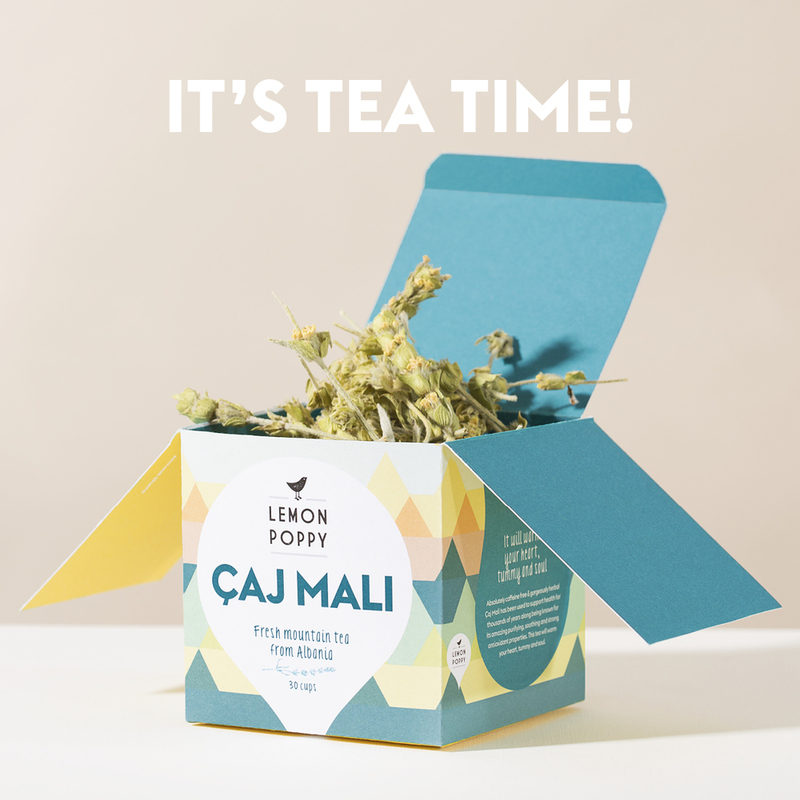 Çaj Mali (pronounced as ‘ts-jai mali’) by Lemon Poppy is an exclusive full body, flower and leaf tea that origins from Albania. It grows on mountain sides at 1500 meters along the Mediterranean coastline and is carefully hand picked by the villagers of the area. It is a gorgeous herbal tea used to support health for thousands of years. It is 100% organic, caffeine free, rich of iron and full of antioxidants. Çaj Mali is an organic herbal tea, of which the healthy qualities and tastiness are determined by the rich mountain soil, the picking process and drying period. Picking: The tea twigs are carefully hand-picked during early summer and early autumn. All of the picking is done by villagers living in the area ensuring the best quality. The picking is usually done in the early morning hours, before sunrise, when the natural fragrances are at their best. Drying: The drying process of Çaj Mali takes only a couple of days. The tea twigs dry on their own and as they turn a bit lighter the drying process is completed. This way all the antioxidant and mineral qualities of Çaj Mali are preserved at their best. The drying process is also important in the formation of aromas of Çaj Mali and serves to seal the natural flavours till the tea is brewed in your tea cup. The tea is bought directly from the farmers who earn a fair share of the price. It has been cut by hand and packed in special eco friendly packages also by hand. No machine production, no processing, no additives and no tea bags are used. Wrapped in an eco friendly recyclable package and causing zero waste, this tea is offered in it's most pure form!